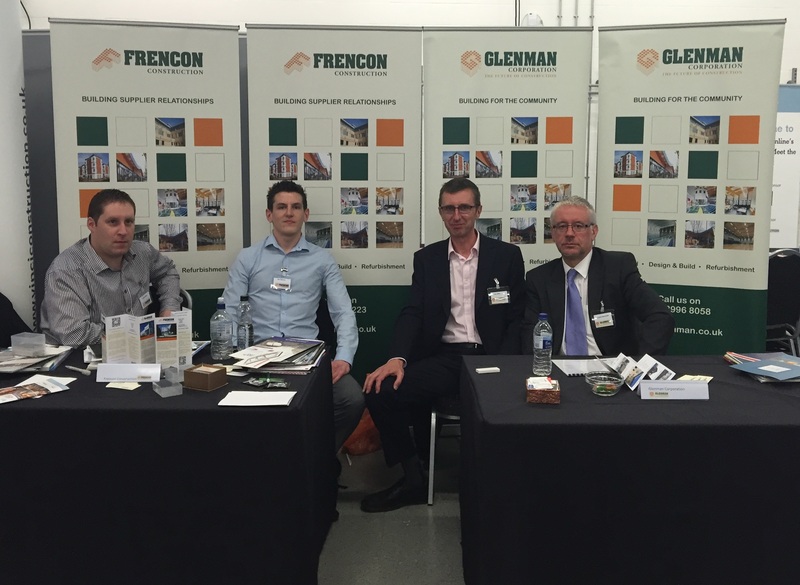 Frencon Construction, in conjunction with Glenman Corporation were among 50 Private and Public Sector buyers exhibiting at the Constructionline Meet the Buyer Event, held at the Oval Cricket Grounds in London. The event was a great success, and our Supplier Relationship Management and Pre-Construction teams had the opportunity to network and connect with a number of organisations and individuals. Over 1000 suppliers attended the event held in June. Both Frencon Construction and Glenman Corporation are registered with Constructionline. Frencon Construction and Glenman Corporation Team below. From left to right: Hughie Hussey, Joe Cloherty (Supplier Relationship Management Team), Tom Allen, Brendan Reynolds (Pre-Construction Team).